* (1:03) Brodeur was in a frat. He didn't get paddled, strangely. * (2:51) Ending an ongoing campaign arc. * (8:52) The nature of the ending. What do the players actually want closure on? * (11:48) Pre-planning the beginning and end, even if the middle is unknown. * (0:34) After years of dodging anime, Dan falls in love with One Punch Man. Bill Burr give his take on the show (FAIR WARNING: NSFW language). Antonin Dvorak's New World Symphony. * (8:01) Two things that could have messed up the feel of One Punch Man. * (16:47) Putting other anime on the table. * (0:24) Dan's top three card games in a video game. Chad loses it for Gwent. You can sign up for the Fear the Boot Gwent league on the forums. * (9:28) Entertainment that sounds awful in concept but works well in execution. Persona 5. * (0:29) Brodeur helps organize Geekway to the West. Vast: The Crystal Caverns, Twilight Struggle, and Battlestar Galactica. * (10:00) Fear the Con X. Charlie talks about Secret Hitler. * (11:59) Not caring what people think. Surviving Comic-Con. 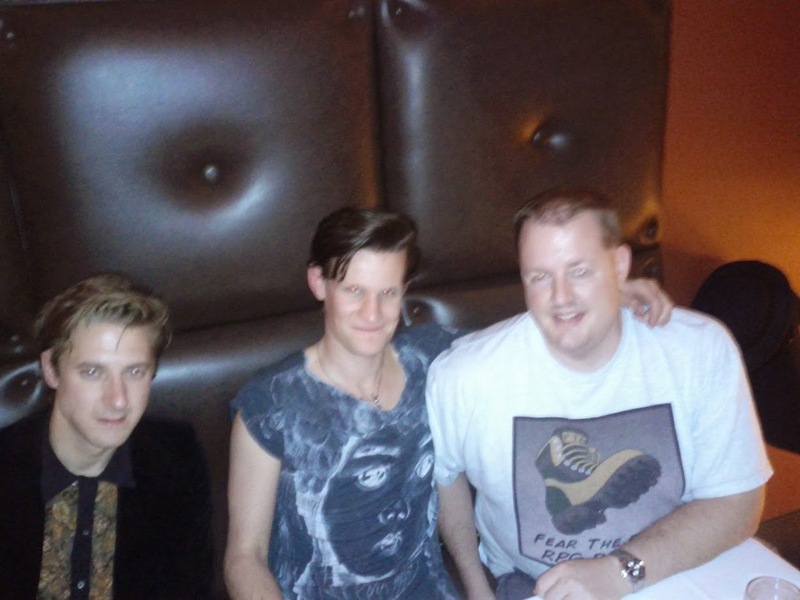 Pat meets Dr. Who.